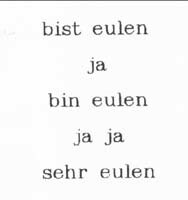 The poem Eulen (Owls) by Ernst Jandl is the basis for a piece of work combining oil and photocopy. 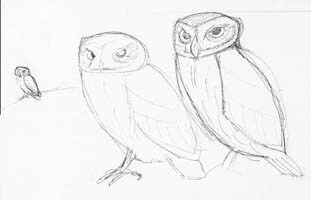 Here, part of the mastercopy for the text and a sketch of the owls framing the poem are presented. The completed work was given to Petra Leonhardt around 1993.